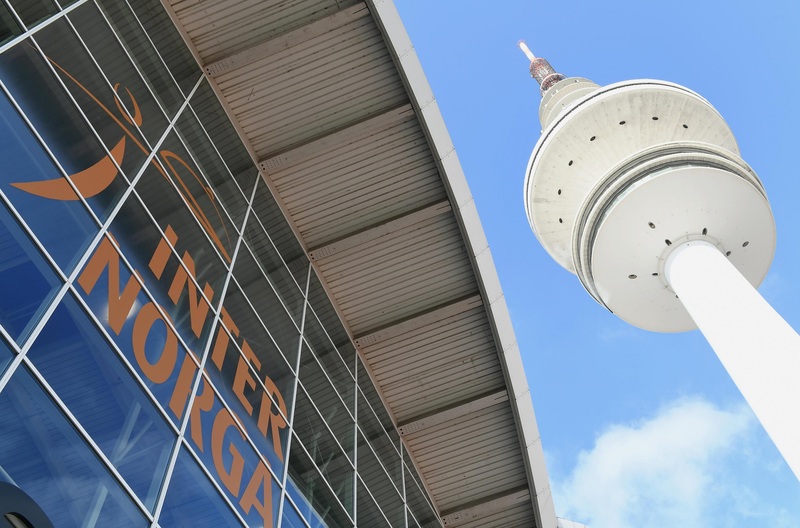 HAMBURG, Germany — In just a few weeks, Hamburg will take centre stage for hospitality and food service – from 15 to 19 March 2019, the Hamburg Messe und Congress site will be a 10,000 square metre event space for market leaders and newcomers. It is the forum for the industry’s top decision makers, with leading international speakers, exciting live challenges and fascinating specials. This is the place to be for the whole of the out-of-home market. Some 1,300 exhibitors from about 25 nations will be there to present the products, trends and innovations needed by market players to stay successful in the industry’s dynamic competitive environment. Some 95,000 trade visitors are expected. Dolce vita up north – INTERNORGA brings the Italian trade show Bellavita Expo to Germany for the first time. The leading trade show for Italian food & beverage products outside of Italy presents typical national and regional specialities. Exhibitors include both small Italian artisan manufacturers and well-known market leaders. Following the successful premiere in 2018, the CRAFT SPIRIT Lounge doubles its space in 2019, featuring 18 exhibitors. This is where restaurant and hotel operators can get inspiration for artisan spirits to enhance their drinks menu – with presentations and tastings of first class distillates such as gin, whisky, rum, fruit brandy, caraway spirits and vodka. While the trend to craft spirits is still quite new, hand-brewed beers have become an indispensable part of the out-of-home market. The CRAFT BEER Arena has been the launching pad for many successful microbreweries, and one of the absolute highlights at INTERNORGA since its creation four years ago. In 2019, some 30 brewers from the whole of Europe will be there, including major players and start-up companies, presenting more than 150 creative beers and inviting visitors to talk shop. The Newcomers Area is the place-to-be for rising stars in the hospitality and food service market, with some 20 exhibitors showcasing their products. From scrambled eggs in 15 seconds to sugar substitutes from all parts of the world, sustainably made workwear and the world’s first online network for bee keepers and bee enthusiasts – this trendsetter area puts its 2019 focus on innovative, environment friendly production processes, transparent supply chains, healthy food and creative gastro service concepts. The latest grill equipment, exciting activities and demonstrations, and exchanges and tastings among the experts – the popular Grill & BBQ Court at INTERNORGA will be held for the third time in cooperation with Grill-Kontor Hamburg. The outdoor area and the space in Hall A2 have been doubled to meet the high level of demand, giving visitors an overview of current trends in the grill segment. Exhibitors include national and international suppliers of kitchen equipment and fittings, pits and smokers, refrigerated rooms and catering facilities. The Food Truck Village will be set up on the Forecourt, that is directly under the Hamburg Television Tower, with the very best in street food and forward looking concepts for mobile canteens. “Truckers Talk” gives visitors useful know-how from mobile practice. The prestigious, internationally recognised INTERNORGA Future Award will be presented for the 9th time this year, in the three categories Trendsetter Company – Gastronomy & Hotel Sector; Trendsetter Product – Food & Beverages; and Trendsetter Product – Technology & Equipment. This competition, run by INTERNORGA, Leaders Club Deutschland and orderbird, gives newcomers in the gastro sector the chance to win prizes worth more than €10,000 each. Five finalist teams will outline their business ideas in five-minute presentations. The first prize winner will be picked live by the trade audience, and win an additional €10,000 start-up booster. The German Qualifier for the World Pizza Championship will be held at INTERNORGA 2019 for the second time. Germany’s best pizza makers will battle it out for a place on the starting line at the World Pizza Championship in Italy. The Next Chef Award is an innovative cooking competition hosted by celebrity chef Johann Lafer. It gives young cooking talents from all areas a unique opportunity to present themselves as real professionals to a live audience – the winner takes home the title Next Chef 2019. 18 young talents (age limit 26 years) will demonstrate their skills in exciting live challenges to a panel of celebrity judges at INTERNORGA. The Trendforum Pink Cube is a discussion platform and meeting point, a fountain of ideas and inspiration. Karin Tischer, a well-known trend researcher much in demand throughout Europe, and proprietor of the research and development agency food & more in Kaarst, presents exciting food service concepts and innovations, and looks forward to tomorrow’s trends. Hospitality Lounge and ThinkIng Bar for professional food service – Café FUTURE live is the innovative and communicative industry meeting point at INTERNORGA. Its relaxed atmosphere welcomes visitors from 10:00 to 18:00 daily, inviting them to explore creative culinary samples in an informal setting, and to attend fascinating panel discussions with the industry’s major players discussing the future of the food service world. This is table top in style. The SKYWALK Table showcases the latest designs on a table more than 50 metres long. It presents the products of 35 high-profile exhibitors, giving an impression of the future of tableware, cutlery and accessories. The DEHOGA Club of the regional associations of Hamburg, Schleswig-Holstein, Bremen, Lower Saxony, Lippe and Saxony-Anhalt is the meeting point for hospitality and food service. The Baker’s Blue Box showcases fresh ideas for artisan bakery. In cooperation with the trade magazines Back Journal and DBZ magazin, experts give fascinating insights and straight talk on current topics in the industry. From small independent operators to the big chains – the Baker’s Blue Box gives the ideal mix of ingredients for bakeries fit for the future. Master confectioners and young talents from the Hamburg Confectioners Guild show how creative and professional their craft really is. They will demonstrate special techniques for working with sugar, chocolate, marzipan, etc., live on stage. And young talents will battle it out in exciting competitions. The “Sweet Confectionery” contest showcases and rewards the most creative works of confectionery art, while the North German confectionery guilds demonstrate the wide range of artisan products in the Show Confectionery. INTERNORGA 2019 has another first – a Masterclass for International Growth & Franchising. This is the ideal opportunity for companies that want to replicate their concept to get expert counsel and advice. They can learn from international experts what they need to observe in their expansion policies, and find out about the mechanics of franchising. Key aspects of franchise negotiations and essential information on international brand protection will also be on the agenda. “Movers. Makers. Markets.” That is the inspirational slogan of the 38th International Foodservice Forum. It is Europe’s biggest professional food service conference with some 2,200 attendees, and is hosted by the business magazines foodservice und FoodService Europe & Middle East. German and international speakers give insights into current consumer trends, market potentials and success factors. The keynote speakers include Prof. Stéphane Garelli from Lausanne University and John Vincent, co-founder of the UK quality fast-food chain LEON. The German Catering Congress is held in cooperation with business magazine gv-praxis. This year “It’s all about the customer – consumer behaviour and expectations. Practical solutions.” It will address the latest trends such as Work 4.0, vegan cuisine, changes in what companies are offering, sustainability and organic catering. Leading nutritional psychologist Dr. Thomas Ellrott will explain why customers no longer eat normally, and celebrity chef Heiko Antoniewics will give some key culinary creative ideas for the sector. Dr. Holger Schmidt, a prominent economist and business journalist, will give a talk on tomorrow’s customers and the resulting challenges for catering companies. The Forum School Catering focuses on “Price before Health? School catering for the future.” Dr. M. Ernestine Tecklenburg of the German Nutrition Society (DGE) will present the latest findings of the nationwide DGE “KuPS” survey (“cost and price structure”) on what is affordable for high-quality school meals. Bertold Kohm of Nordbaden service company will give a talk on catering as a balancing act between cost and quality. Prof. Dr Stephanie Hagspihl from Fulda University talks about “Crisis in the kitchen – are we running out of trained staff?”; she takes stock of the current situation and discusses ways of attracting trained people. INTERNORGA is the leading trade fair for hotels, restaurants, bakery and confectionery. It has more than 1,300 exhibitors from Germany and abroad and over 95,000 trade visitors. It showcases products, innovations, trends and innovations for the whole of the foodservice and hospitality market. The trade show is accompanied by international conferences, an extensive supporting programme, and innovative industry competitions. INTERNORGA is recognised by the Association of the German Trade Fair Industry (AUMA) as Germany’s only international trade show for the HORECA industry.